Ashley and Ben had one of the most unique reception ideas we’ve seen in a while. 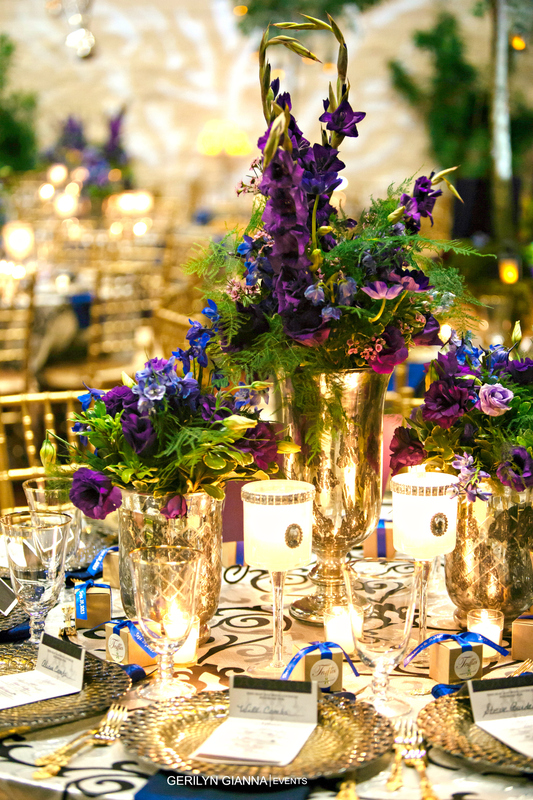 The wedding style was a baroque medieval period theme. Our challenge was to hit those notes of that style in that period. So we came up with an idea of bringing in an outdoor forest setting inside with a touch of whimsy. Diners dined under 10ft tall trees lit up with lanterns. 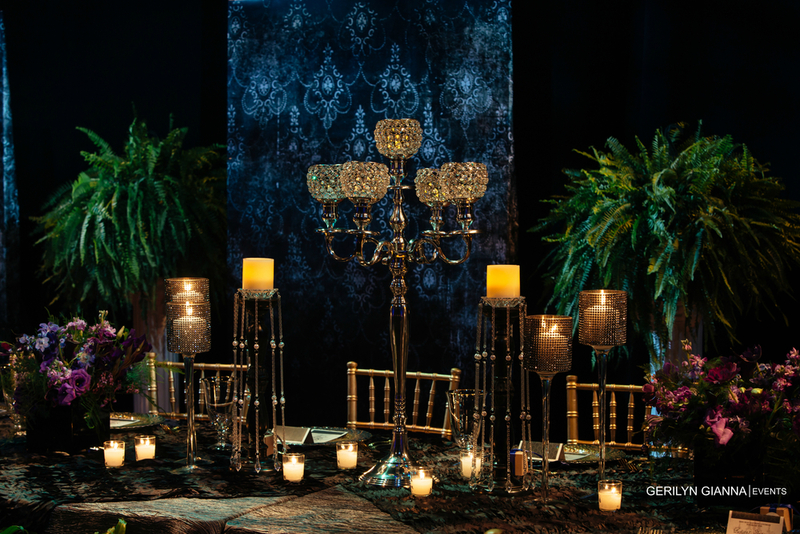 Candelabras circled the room for that dark feel. 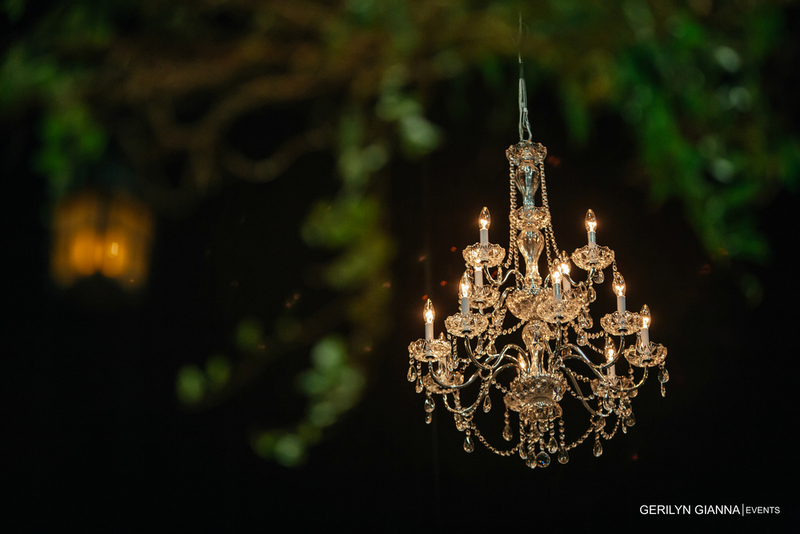 Chandeliers hung from the ceiling over the head table that lit up. 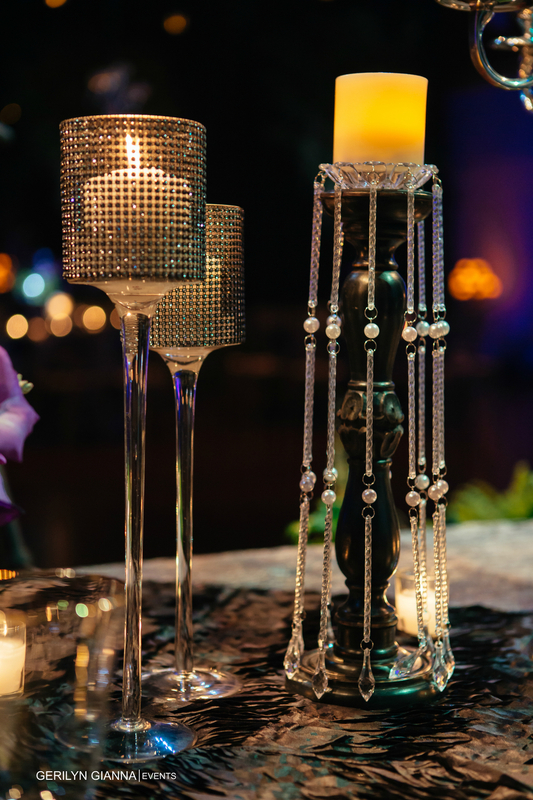 And over the dining tables, we made added hanging crystal candelabras to look like they were magically floating in air. 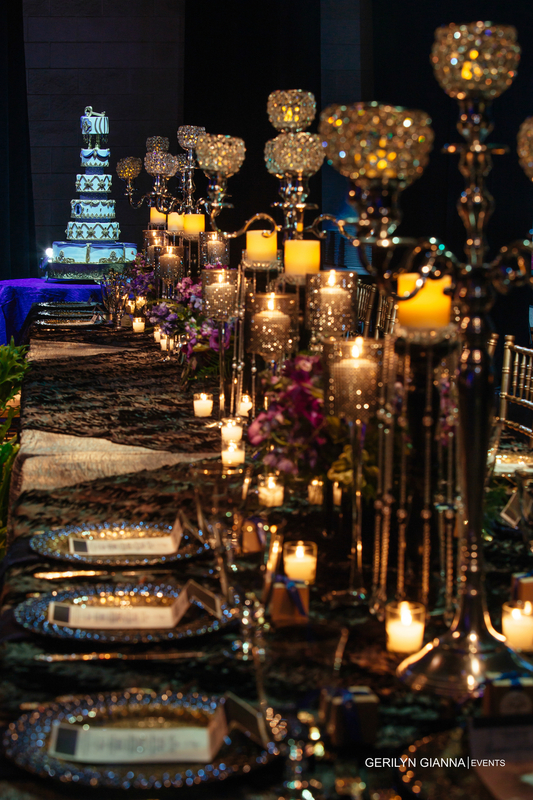 In the front of the room, we placed one long table fit for a king and queen with a beautiful custom backdrop. And we built in a custom wishing well in front of the table for quests to drop wishing rocks to the lovely couple. 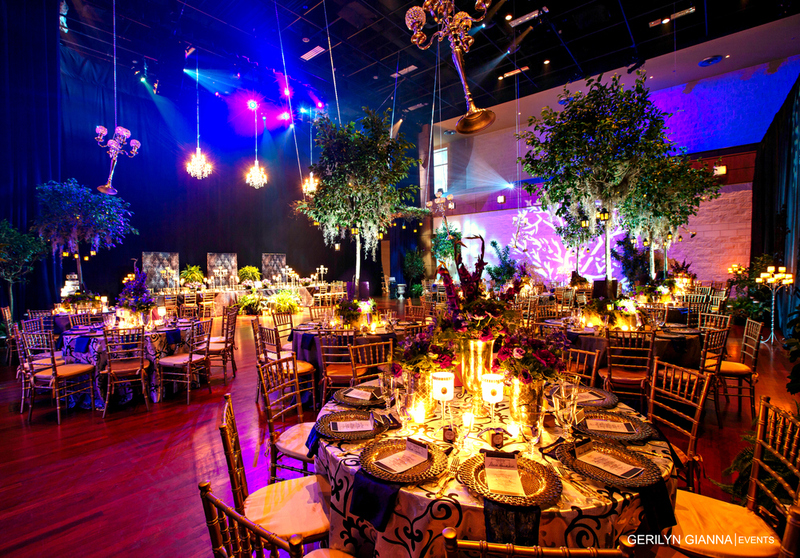 This was one amazing transformation from theater to baroque style fit for a king and queen.